The Perspectivity Challenge is featured in the Bangalore Mirror! 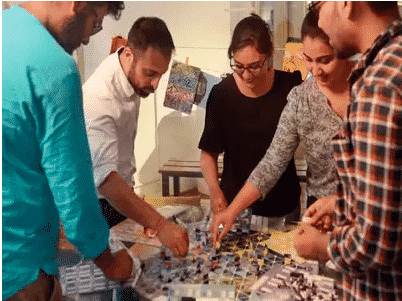 The Bangalore Mirror interviews Perspectivity’s Anubhav Khanduja after a Climate Challenge session with entrepreneurs, economic and education consultants, and textile professionals in Bengaluru, facilitated by Anubhav, Dharmesh Mistry and others. 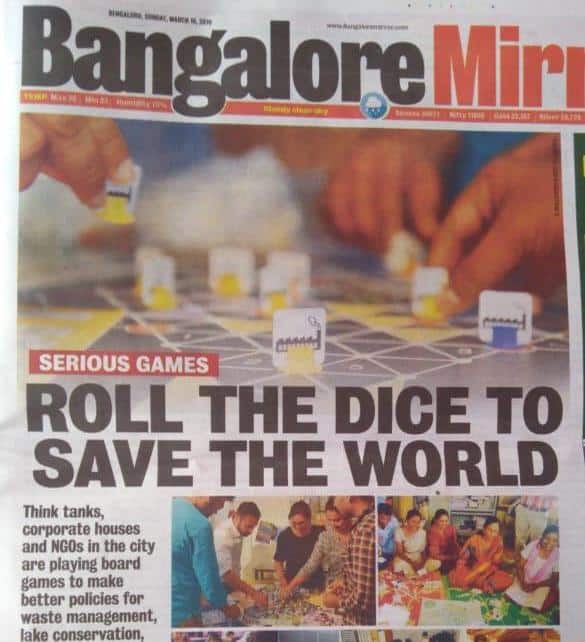 “Think tanks, corporates, and NGOs in Bengaluru are playing ‘serious’ board games to make better policies for waste management, lake conservation, urban infrastructure and climate change. Please don’t build yet another dirty factory. See, glaciers are melting, ocean level is rising, krills are dying. Let us give you loans to build a clean factory or to upgrade one”. This excerpt is not from a round-table discussion between environmental policy makers, but between Gnana Suthan and Adithya Badidey who were playing a board game in Indiranagar on Wednesday, with six others. 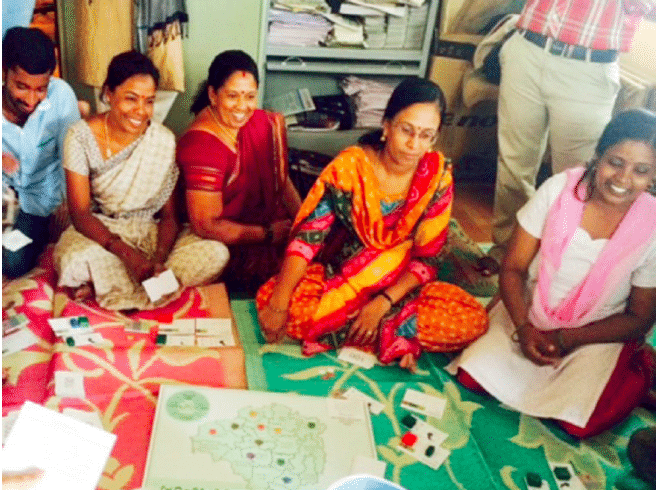 The game was Climate Challenge, where these players – a mix of entrepreneurs, economic and education consultants, and textile professionals – had stepped into the shoes of world leaders to trade off between short-tem economic growth of their respective countries and long-term sustainability of the planet. It is one of the seven games developed by Netherlands-based Perspectivity; the other focus on agrarian crisis, public health, the nexus of food, water and energy companies, the use of military versus diplomacy for world peace, and organisational performance. Globally, these games have been played by Shell, World Bank, PriceWaterHouseCoopers, Greenpeace, London School of Economics, Massachusetts Institute of Technology, to name a few. 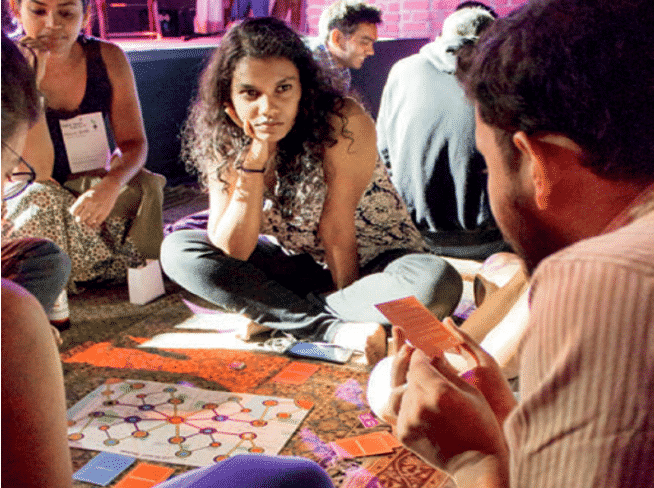 In Bengaluru, up to 20 organisations in the fields of design, IT, water conservation, social entrepreneurship, solar energy and child welfare have take to these games. Sounds absurd? Maybe, but think tanks, corporates, NGOs, and universities in the city are heading to gaming tables to finetune their decision-making and crisis management skills, spending as few as six minutes to 10 hours in one go. A few even fund game designers to make game that suit their needs and that of Bengaluru. 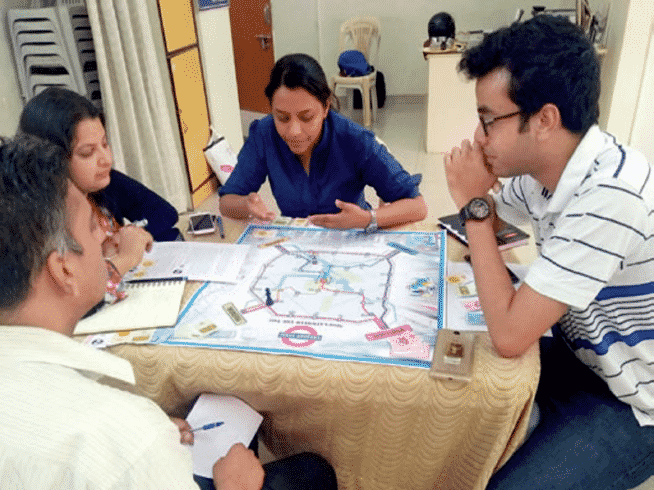 “Games can simulate real problems well, so strategies, dilemmas, negotiations and advocacy they throw up is worth thinking over,” reasons Anubhav Khanduja, volunteer of the India chapter of Perspectivity. And wow, the options they have – right from games on waste management, lake conservation and land policies to urban infrastructure for the differently-abled, migration, and identity crisis, and Sustainable Development Goals, and Inclusive Wealth Index. Can serious games improve urban governance and crisis staring at the world? Khanduja says look no further than the carbon credit system, under which companies and governments are trading carbon certificates to balance total worldwide emissions of carbon dioxide. “That is gamification,” says the 29-year-old. Or, just how Speed Camera Lottery is making roads safer in Sweden. In this game, people who drive at or under the speed limit are entered into a lottery game, prize money of which comes from the fines collected from over-speeders. A study involved 24,857 cars showed that the average speed of cars came down from 32 to 25 km/h in three days. Or, take how the online game FoldIt made a breakthrough in AIDS research in 10 days, which scientists couldn’t in 15 long years. Some game analysts, however, differ. In a 2017 article ‘Can serious games really help solve world issues?’, Kentaro Toyama, author of Geek Heresy: Rescuing Social Change from the Cult of Technology, says the most difficult world problems are not intellectual challenges, but are rather social, political, economic or cultural in nature, which games are impotent of addressing. Another expert said the problem is less about the dearth of solutions but more about the lack of implementation. Still, none dismissed the potential of serious games, however, marginal that be, saying it’s an easy way to bring people to the table and make them think. So let’s see what game are Bengulareans making and playing. JP Nagar-located Fields of View has made eight table-top and four computer games, and these are now played in different cities of India and in Sri Lanka and Netherlands too. It is also on the verge of completing ‘Transport Trilemma’, which it has simulated using the data from Bangalore Metropolitan Transport Corporation. Its cofounder Sruthi Krishnan explains why this new game should matter to stakeholders. “Public transportation in India is often questioned for its efficiency. Like ‘How fast is it?’ or ‘How can the fleet be used better?’. But what about the people who use it? Bengaluru has a lot of women working at garment factories but not many take buses – because bus routes are not accessible, buses don’t ply later, or they earn less. So this game raises many ‘What if ‘ scenarios to the participants, such as what if these garment workers want to take public transport”. Their game ‘Rubbish’ puts participants in the middle of the supply chain of waste management. “Their task is to make profit by collecting and selling waste, which if not done, would end up at a landfill. But the problem is if the landfill gets full, the game will get over.” So the inherent lesson is the importance of segregating waste and setting up dry waste collection centres. Another of Jain’s popular game is on the Rachenahalli lake. “Who does a lake belong to – neighbourhoud, civil society, fishermen, or government? Indian Institute for Human Settlements uses it to train local government bodies. The aim is to understand the power dynamics that comes with the ownership of a lake, and how each stakeholder uses his/her authority to benefit from it, and how collaborations can make policies inclusive.” After the gaming session, the participants are taken to the Rachenahalli lake “to contextualise what they have learnt”. This is important, as Khanduja says, “A game is just a tool. It’s how a facilitator drives it that makes all the difference.” Like during the ‘Climate Challenge’ game, participants were mock-flown to summits in Paris and Delhi after every few rounds to “reflect” on decisions they were making. And at the end, facilitator Dharmesh Mistry drove the sad truth home. That is, collectively they had scored 27 points, which was very low. But if they had co-operated and looked at the holistic picture (to make big profits but seasonably) than playing for individual interests and even breaking agreements, they would have won big points. This approach is called Systems Thinking, and is one of the many theories that these games are built on. But have these games triggered any change? Or, how can a session or two of a game sway high-level policies, because unlike casual games, repeatability of serious games is not beyond two or three? “This change is to do with attitude and behaviour. You know, how to be inclusive, and how to advocate, negotiate, and look at the big picture. These are intangible things. These can’t be measured,” says Jain. Still, these designers say participants often leave the table with “insights”. Suthan, who has played the ‘Climate Challenge’ two times, agrees, “Board games leave no room for taking a moral high ground. Even if you do that, your game will become clear at the end, because making profits and winning the game is everybody’s ultimate goal. But can you do it responsibly? It’s a question that remains critical both to the game and to the world. These parallels are difficult to ignore.” And so Suthan is willing to volunteer to take Perspectivity games to others in the city, if given a chance.